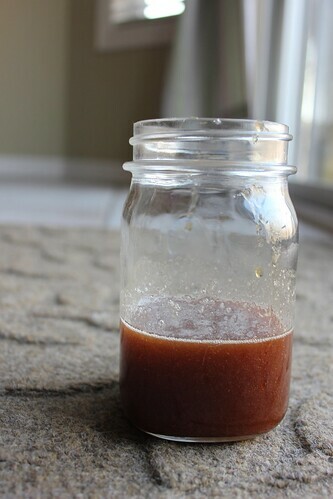 I tried my hand at making Homemade Cough & Cold Syrup last week. Overall, I was really happy with how the Homemade Cough & Cold Syrup turned out and am anxious to try using it the next time someone has a bad cough around here! I don’t want to offend. But most honey you buy at the grocery store is fake, it is actually high fructose corn syrup. This was organic honey that I bought online… not raw or local, but definitely the real stuff. Thanks so much for the word of caution, though. Can they really put corn syrup in a bottle and label it with ingredients as being ‘honey’? I find it hard to believe. I’ve heard of Chinese honey being exported to other countries then imported to US as a product of the middleman country. “honey syrup” is not the same thing as “honey” – be careful reading labels. Completely agree with E.Blake on this. Also, the ingredients on bottled lemon juice should be checked as well. It’s great to try to use ingredients you have on-hand, but the benefits of using fresh, raw, and local are completely lost and are usually what makes concoctions work. What is the shelf life on this? Will it keep very long? Hi! Do you have to use coconut oil? 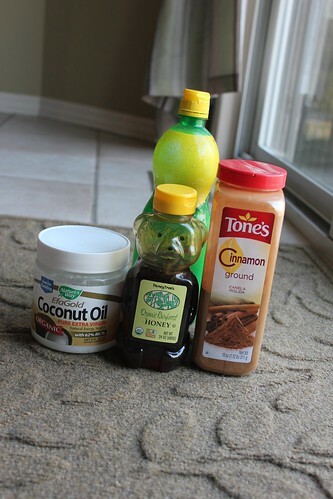 I have everything on hand except the coconut oil. Can you use olive oil instead? I think you could use olive oil, but it may have a different taste/consistency. This is exactly what I’ve been making for about a year now. It’s great for when they have a cough, but no other symptoms. Once my kids are out and out downright sick, this just doesn’t cut it (in my experience, but others may have a different experience). But I do think that it has fought at the beginning stages and kept us from sickness a couple times. Each ingredient in this actually has a specific purpose for getting rid of certain bacteria, ect. Coconut oil is anti-bacterial and anti-viral and also helps to boost the immune system. Not sure if this cough syrup would be as effective if you substituted olive oil. Honey by itself will suppress a dry tickle cough. When my kids can’t sleep I take them a spoonful, they never say no and it helps about 90 percent of the time. I’ve been giving my kids 1 tsp honey mixed with 1/4tsp cinnamon 3x a day whenever they have colds and it knocks it out right away! You do want to make sure you’re using Ceylon Cinnamon though! Can’t wait to try this recipe for coughs! This came at a perfect time. My kids and I have a fever and along with it a terrible cough. I have no cough syrup, nor do I want to go out and buy any. They’ve been exhausted from all the coughing done at night. Going to try and make some up now. I had this problem, too- could not get the “mixture” to mix! 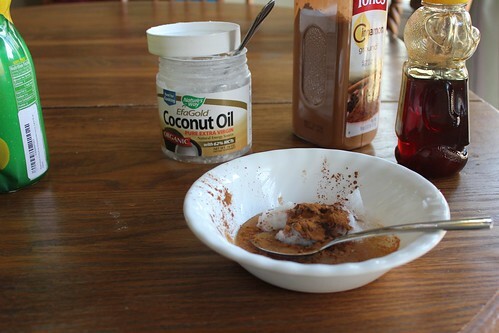 And when it’s cold, I had a layer of solid coconut oil and a layer of honey/lemon/cinnamon. How does everyone fix this?